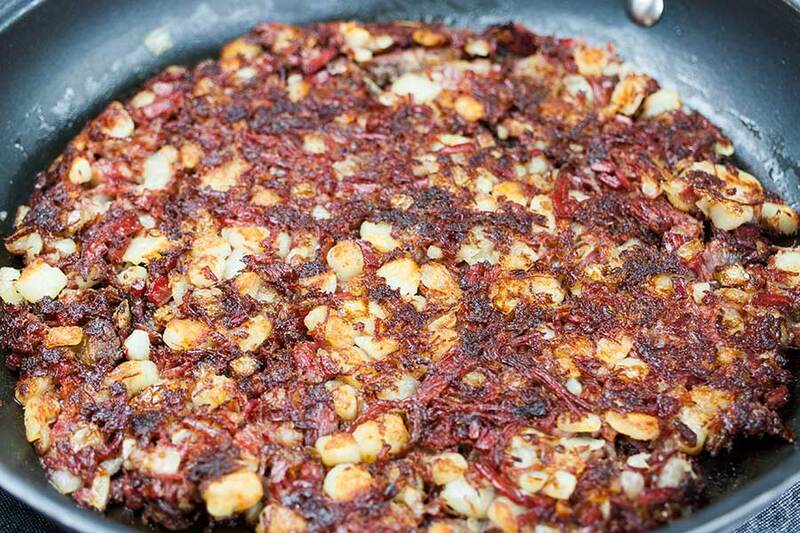 Corned beef hash has been a staple of many breakfast tables for some time. 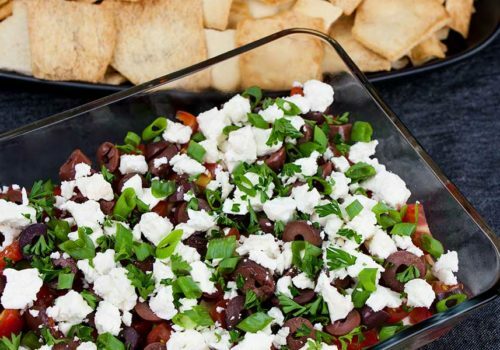 What makes this dish appealing, besides the fact that it’s delicious, is that it is a great way to turn some leftovers into a delicious breakfast the next day. This often graces our table on a weekend morning. 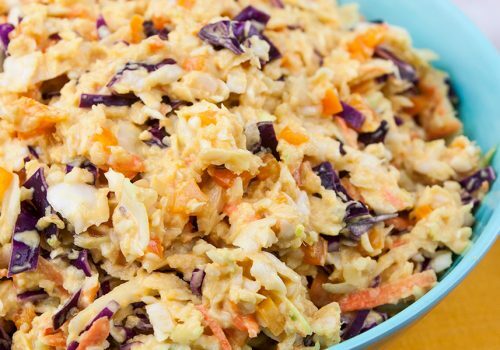 It goes amazingly well with some eggs and topped with cheddar cheese. You can pretty much throw anything at a hash. 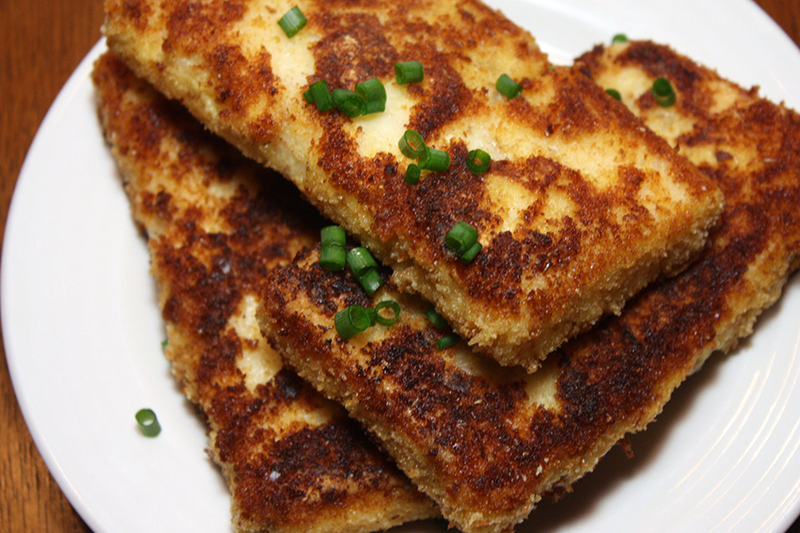 ‘Hash’ is derived from the French ‘hacher’ meaning “to chop”. 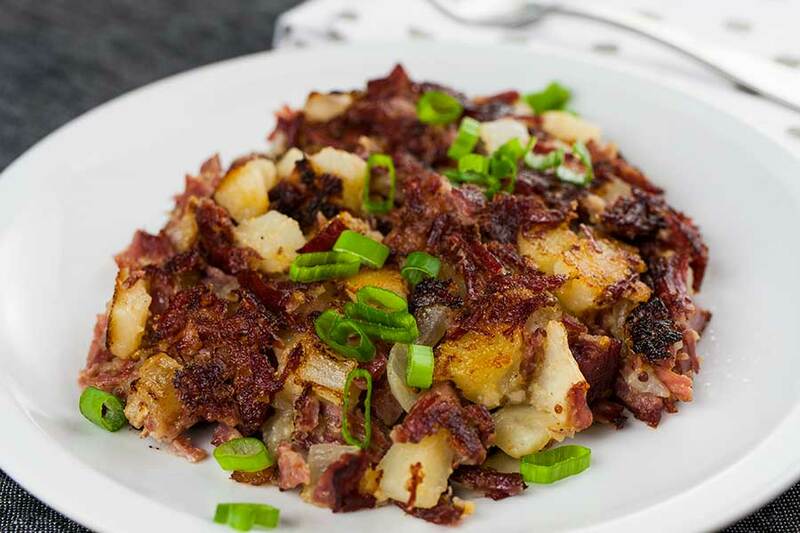 A hash recipe typically contains chopped meat, potatoes, and spices. It became very popular in Britain and France during the second world war. Many other countries have their own versions of hash. Some use sausage, others use ground beef, spices also fluctuate region to region. Even vegetables can be substituted or added, such as bell pepper. 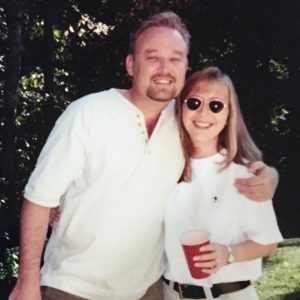 But here in our home we usually stick to our favored corned beef hash or sometimes a roast beef hash to mix it up. Typically, this dish is made with leftover meat. 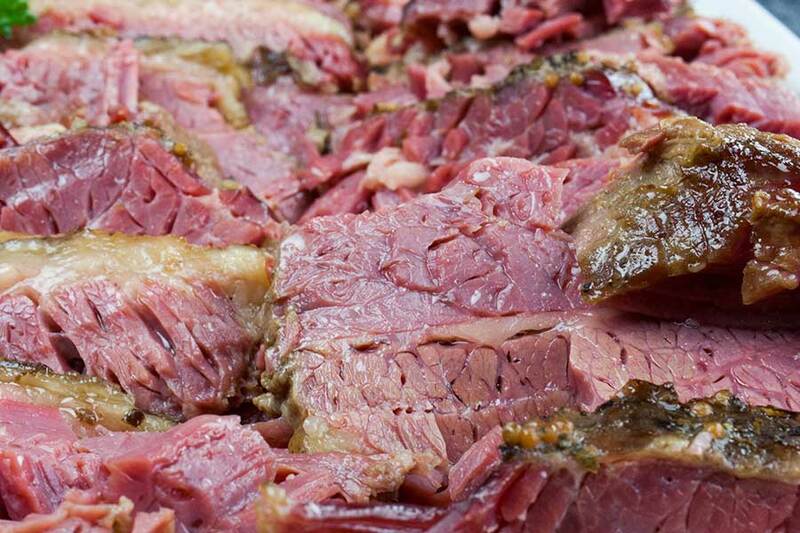 In this case, we’re talking about cooked corned beef. Feel free to substitute with what you have on hand. This dish is so simple to put together. Place a large skillet over medium heat and add the butter. You can use either a cast iron skillet or a nonstick skillet, we have used both. When the butter has melted add your onions and saute them until translucent. 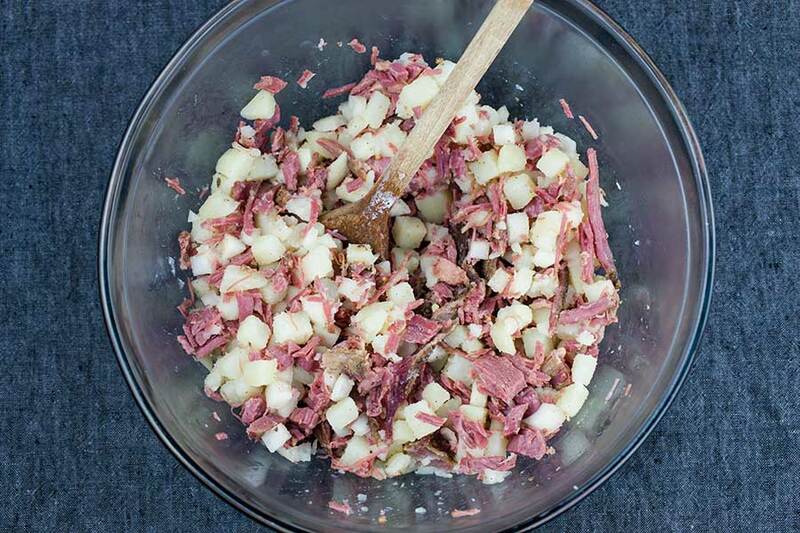 While the onions are sauteing, mix together in a bowl your corned beef, potatoes, and spices. When the onions are translucent, add the corned beef and potatoes and mix it around evenly. Increase the heat to medium-high and cook, stirring occasionally for about 5 minutes until it starts to brown. I also add additional salt and pepper to taste. After about 5 minutes, pat it down with a spatula so the bottom gets a good sear. Leave it alone at this point, don’t stir it around. You want to hear some sizzling going on, letting you know it’s crisping up. After about 7-10 minutes, use a firm spatula to check the sear. If you’re happy with what you see cut into sections and flip. Another way of turning your corned beef hash is placing a plate down upon the hash and holding your hand firmly on the plate, turn the pan so the hash transfers to the plate sear side up. Slide the hash back into the skillet. This keeps it whole. Cook for an additional 7-10 minutes until the other side has formed a nice crispy crust then remove from the heat and transfer to a serving dish. Season with salt and pepper to taste. There are so many ways to serve this up. 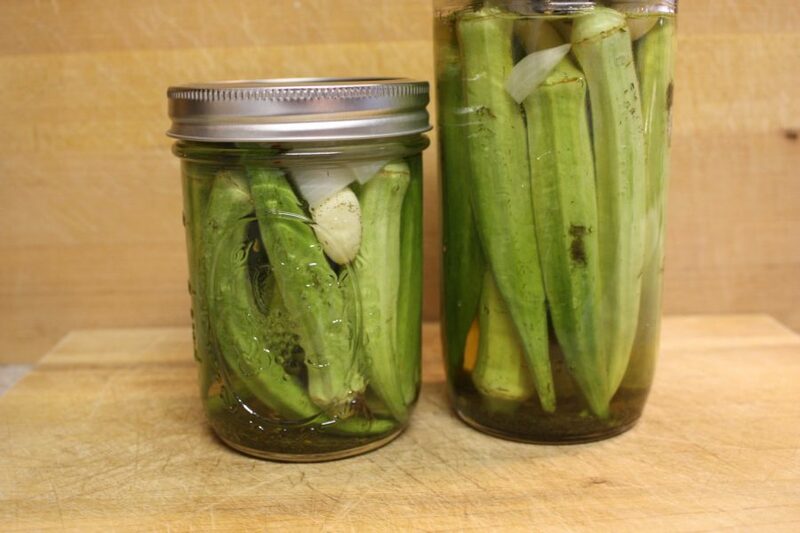 Serve it just as it is, sprinkle with some green onion, or perhaps top with cheese. My personal favorite is to top my corned beef hash with fried eggs over easy and shredded cheese. 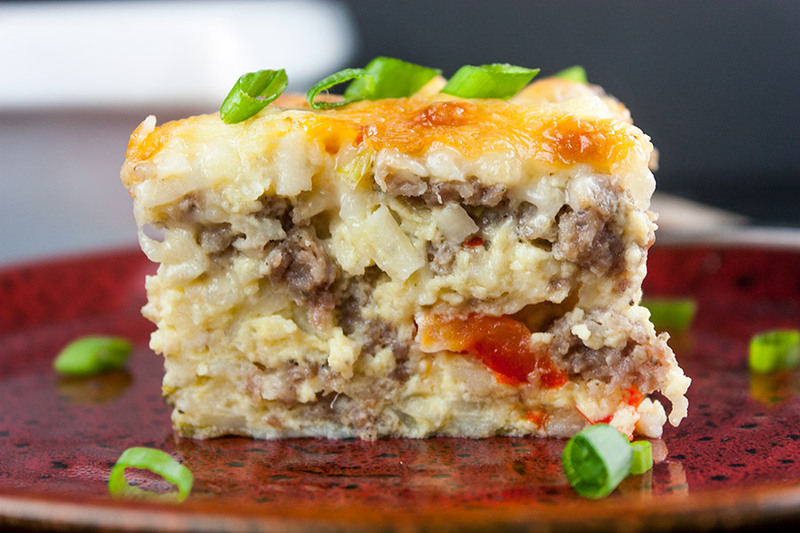 This dish is perfect for a hearty quick breakfast but you can eat corned beef hash anytime. 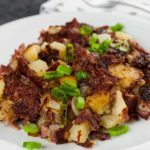 Corned Beef Hash - A perfect way to use leftover corned beef while serving up a deliciously crispy and flavorful meal packed full of flavor and texture. A perfect way to use leftover corned beef. When the butter has melted, add chopped onion and saute until translucent. 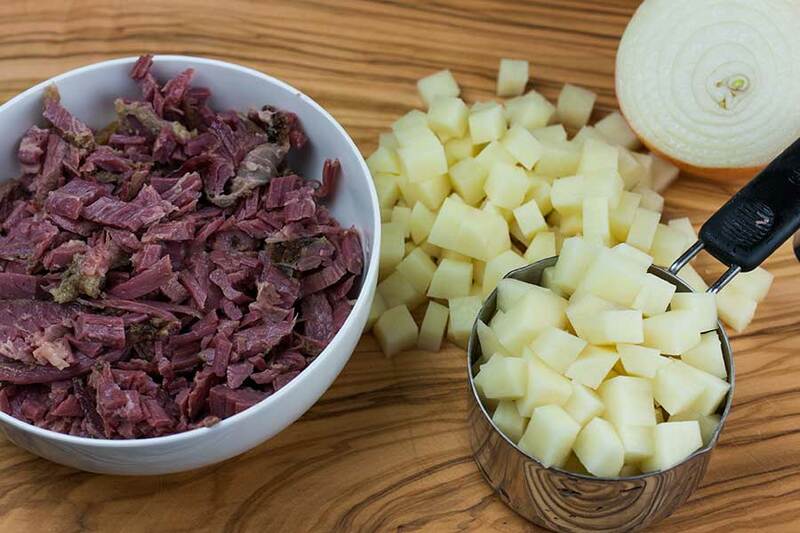 While the onions are sauteing, mix corned beef, potatoes, and spices together in a bowl. When the onions are translucent, add contents of the bowl to the skillet and increase to medium-high heat. Stir to combine fully and cook for about 5 minutes until the hash starts to brown. Using a spatula, pat mixture down firmly and cook for 7-10 minutes until it starts to form a crispy crust. Flip the hash by either cutting into sections and turning each or place a plate upon the hash and holding the plate firmly, flip the pan onto the plate then slide the whole hash back into the pan. Cook the other side for 7-10 minutes until hash has a crispy crust. Remove from the heat to a serving platter. Serve hot, season with salt and pepper to taste.